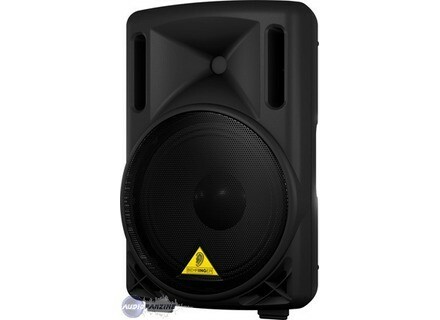 B210D, Powered PA Speaker Cabinet from Behringer. 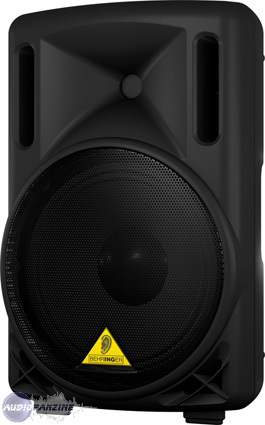 Berhinger's announced their new Eurolive B210D is an active 220-Watt 2-way PA Speaker System with 10" Woofer and 1.35" Compression Driver. This product is currently not available for sale in the United States and Canada pending verification of compliance with applicable technical standards and regulations. QSC KSub QSC has announced a new subwoofer, with an ETA of Summer 2009. [Musikmesse] New PV Monitor & Sub Peavey has announced that it has added the new PV 15PM powered stage monitor and the PV 118D powered subwoofer to its PV Series. [Musikmesse] New Meyer Products Meyer Sound is presenting several new products at Musikmesse this year - here's the lowdown.